The great thing about contracts for difference (CFDs) is that they are available on many different financial securities and instruments, so you can pick whatever type you are most familiar with. There are some reasons why you might want to trade on the basis of mid caps rather than large or small cap stocks. If you find a small-cap opportunity, you may well see that the spreads are higher than with mid caps, and you may not get such a good margin. But the chief problem with a small-cap is that they can suffer from liquidity problems and if your dealer is a market maker, he will cover his profit by increasing the spread at difficult times. You may even find that your CFD provider will not quote you for small-cap stocks because of this problem. Many restrict themselves to the constituents of the FTSE 350 index. As an example, the spread on Vodafone is typically a fraction of a penny, but it could be as much as 2p on a smaller company in the same market. The trouble is this means that the breakeven point for a trade is much further away if you trade on small caps, and you’re looking for a much bigger move to make it worthwhile. 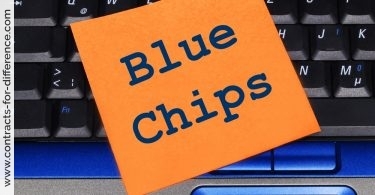 With this in mind, you may be tempted to restrict yourself to blue-chip stocks in the largest companies. This can be a profitable strategy, but the problem may be that the sheer inertia of large companies is not so likely to give you the size of moves and profits that you can get with companies that are a little smaller. If you are using the leverage of CFDs to trade on the underlying shares, this can be a problem. CFDs give you the leverage to make large profits from a relatively small amount. You may only have to put down about 5% for a large-cap stock, which allows you to profit greatly when you trade on the right side. The problem if you have a slow-moving price is that you are charged interest for every day that you hold a CFD. It’s not like owning the stock, when you can wait for months for the profits to come, and this is typically how blue chip shares are held. Warren Buffett became a billionaire by investing in large companies, but he holds his positions for decades. So what are you to do? Small-caps may be illiquid, even if your CFD dealer can sell them to you, and large caps may not give you the action that you want when you’re trading. 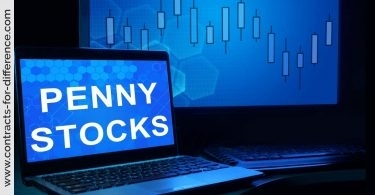 The obvious answer is to strike a balance between the two, finding stocks that have a reasonable amount of trading activity and volatility. And for this you need to look in the middle. 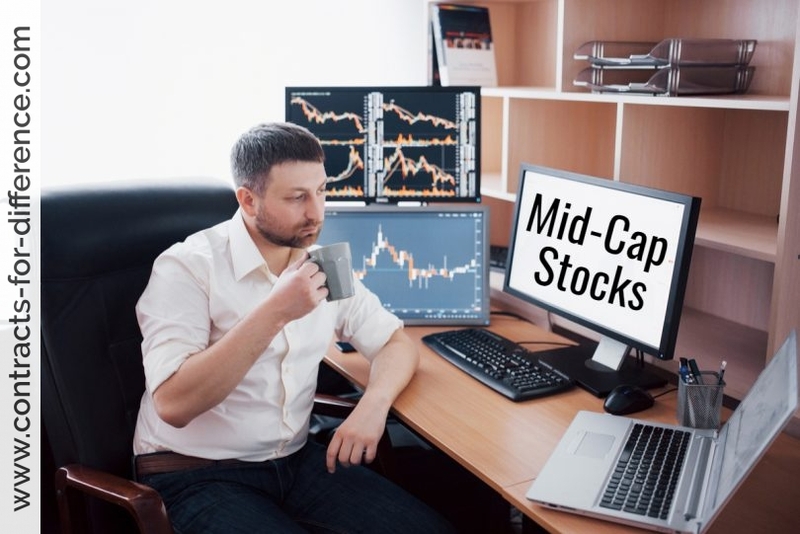 You may find that mid cap stocks are the best compromise between being too small and too large, and represent a good profit opportunity for you.